Many of us survive through our work days only because we crave for the holiday season to begin soon. Even long before they start, we have a compilation of our grand plans. Revamping the house, spending a hefty amount on shopping, movies and food or buying plane tickets… Wait, let’s rewind! Buying plane tickets sounds great. Who doesn’t like traveling? Surprisingly enough, you might end up disliking traveling if it results in blowing your budget. It’s certainly very difficult to enjoy the rest of the year if you’ve spent a bit too much on your traveling. This is the reason you’ll come across plenty of people suffering from a holiday spending hangover. Want to avoid the possibility of a post-trip headache? Here we’ve compiled the best guideline to stick to your budget on a vacation. If you ask me, there is no right amount of fund to travel to a foreign land. It all starts and ends with you, so you have to rely on yourself to make the smartest decisions along the way. So whether it’s a backpacking trip to Europe or a beach holiday to Thailand, it has to be planned within a budget. It is a treat to be exploring the world but certainly not at the cost of spending your life footing the credit card bills. Create, maintain and stick to your budget as a golden rule! Sadly, many of us even when knowing a year ahead of time about our travel plans stick to the last minute reservations. This makes your costs go high substantially. As soon as you’ve a plan chalked out, get the bookings done the earliest you can. The rest of it can always wait. This way, you’ve the great chance of grabbing amazing flight and hotel deals. Foreign exchange can be a very tricky topic for many people. Contrary to the common belief, the best exchange rates can be availed at your destination rather than the home country. Most often, the bank ATMs offer the best rates, far attractive than what is being offered at the commercial exchange counters. It is better to get in touch with your bank ahead of time to get to know the costs of these transactions. If you don’t want to end up embarrassing yourself, it is important to inform your credit card company about the travel plans ahead of time. Everything in a foreign land looks attractive. But before you end up spending recklessly, know that it’s a trap! To get the best experiences of the destination while sticking to your budget, it is important to live like a local. Shopping, especially of souvenirs is attractive for many. However, many of it ends up in trash because you don’t even need it as soon as you head back. Everything costs so you must avoid making these grave mistakes. In addition, ditch fancy hotels and stick to eateries the locals prefer going to. This will help you save a lot of your expenses. 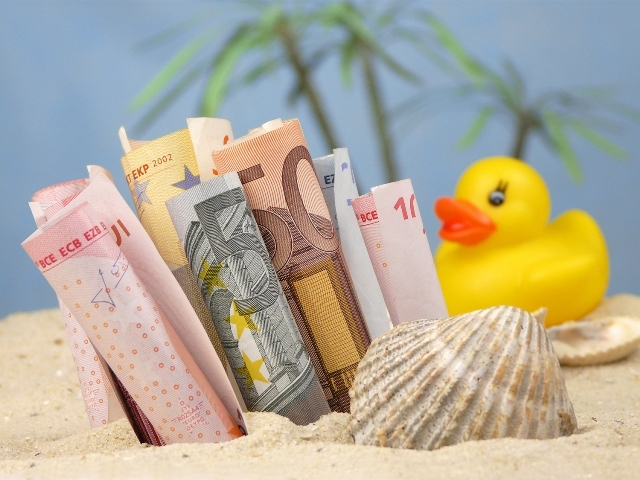 This guideline will keep your worries away and help you to stick to your budget on a vacation.